Why support the Senior Legacy Drive? The Senior Legacy Drive is a time-honored Ramapo tradition that unites the graduating class in supporting the Annual Fund. The drive provides our graduates (our future alumni) with an understanding of the importance of philanthropy at Ramapo College. Gifts to the Annual Fund enable the College to provide much-needed student scholarships, collaborative student/faculty research grants, and special campus projects that keep Ramapo strong. Wear Your Pride! Your participation shows your confidence in Ramapo’s mission and the education you received, setting a powerful example for future graduates. 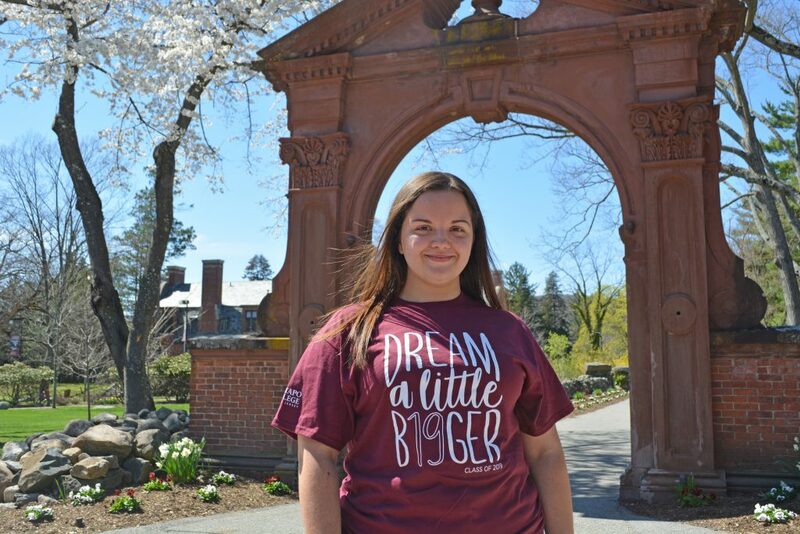 Pictured is Melody Lenda ’19, the creator of the t-shirt design. Message at Prudential Center – Due April 30, 2019. 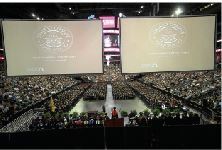 For an additional gift of $5 ($25.19 in total), undergraduates and their families can display a message of gratitude to family and friends on the screens that flank the stage at Prudential Center. Messages will play for guests seated in the arena prior to the processional. All donors will be entered into a drawing for two VIP parking passes on Arching Day, May 16, 2019. Get your shirt and message now! Visit www.islandphoto.com to place an order. 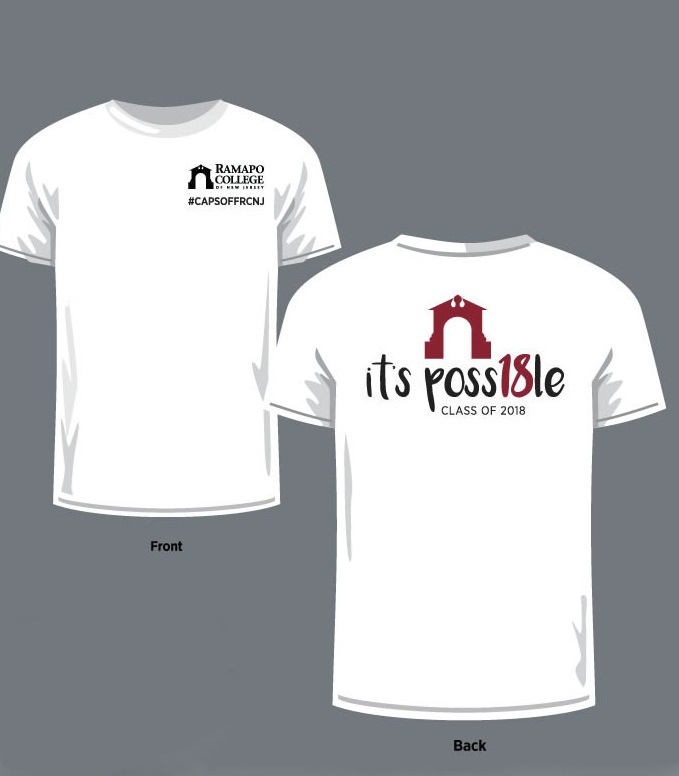 A portion of the proceeds from each order will be donated to support the Class of 2019 Senior Legacy Drive. 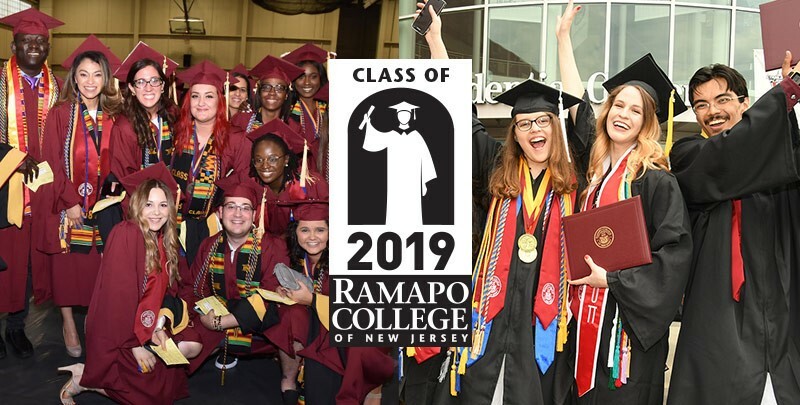 For more information, contact Cathleen Davey, Executive Director Foundation/ Vice President Institutional Advancement, at 201-684-7615 or cdavey@ramapo.edu.